Have you ever dreamed of being the coach of your country and being able to manage a team in the World Cup? 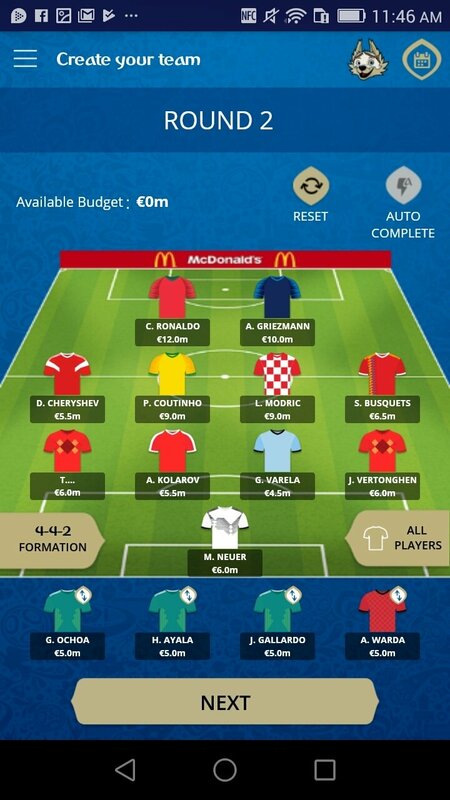 If so, download this 2018 FIFA World Cup Russia Fantasy with which you can configure your own team of stars and become an international manager. What does that mean? 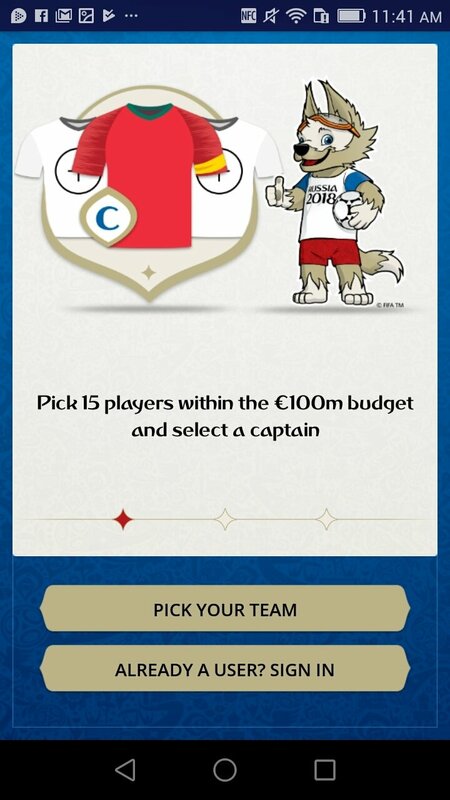 Well, you'll have a budget that you'll have to manage to create a team made up by the players taking part in Russia and the score you'll receive will depend on their real-life performance on the pitch during the tournament. When it comes to building your team, you have to bear in mind just one thing: you can't spend more than 100 million and you can't have more than 3 players from the same country. 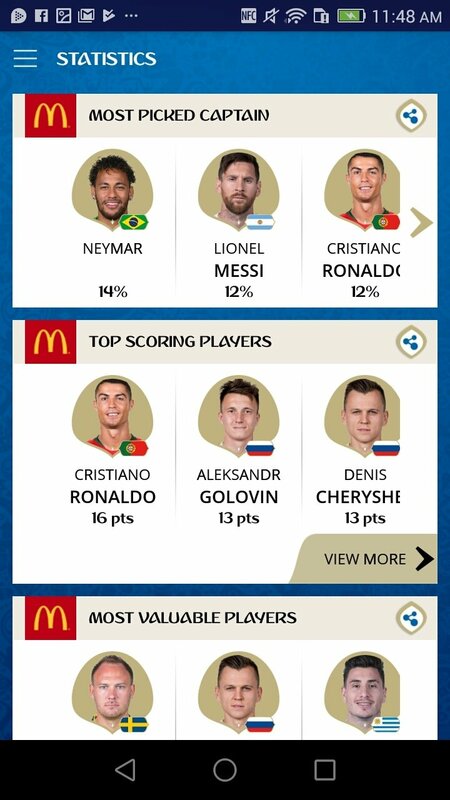 From there on it's all down to your skill and football knowledge: you can go for average players that always perform well in this kind of tournament or bet it all on the best strikers in the world of the likes of Ronaldo, Neymar or Messi, to complete the rest of your squad with players from Saudi Arabia, Tunisia, Panama or Iran, for instance. Luis Suarez, De Bruyne, Muller... all the World Cup stars are waiting for you. 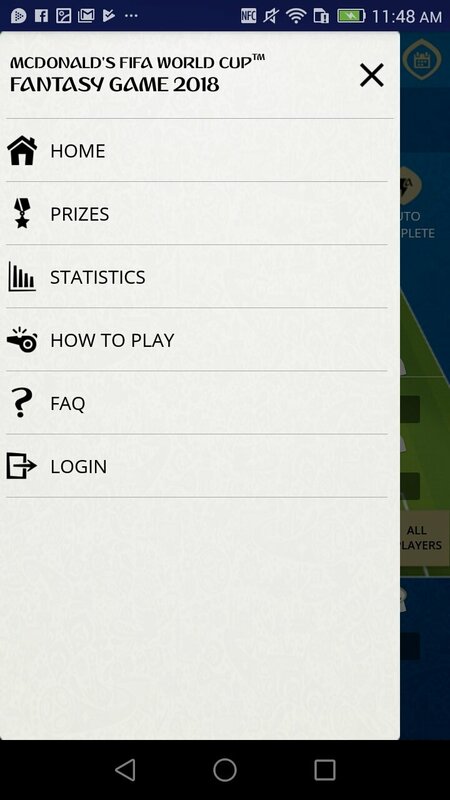 Get hold of the APK of FIFA Fantasy right now and win your own World Cup and the prizes available in this app.